How much is Ron Sturgeon Worth? Ron Sturgeon net worth and salary: Ron Sturgeon is an American auto salvage specialist and entrepreneur who has a net worth of $75 million dollars. Ron Sturgeon was born in Birmingham, Alabama, and graduated from Richland High School in the early 70s. He began running his own VW Beetle repair shop in the early 70s, to support himself and his brother, after his father passed away unexpectedly. The repair shop grew to include auto sales, auto recycling, body work, and marketing and software development. The company ultimately became one of the largest auto recyclers in the nation. In 1999, he sold it to Ford for over $10 million. He then launched an auto auction business that he later sold for $5 million. He bought his recycling business back from Ford, and then resold it for $23.5 million two years later. He now owns 14 classic cars and and has extensive toy car collection. Ron recently announced the possibility that he might be leaving his entire sizable fortune to three individuals who are not his children. They aren't even human. As crazy as this sounds, Ron is potentially planning to leave his $75 million fortune his dogs. If this happens, Willy, Dixie, and Lance, a trio known to the social media world as the "Spoiled Cavaliers", would surely be the richest pets in the world, right? He's so attached to them, that a reality series is currently being developed around his life, his family, and his dogs. 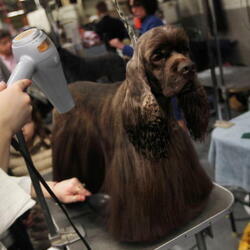 Tentatively titled "Going to the Dogs", the show is a combination of reality show and reality competition. 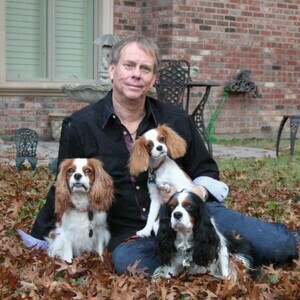 Texas Recycling Tycoon May Leave Entire $75 Million Personal Fortune... To His Dogs. Three Sons And Wife Would Get NOTHING.